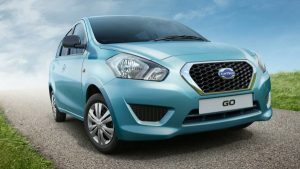 Datsun Redi Go- All You Need to Know! 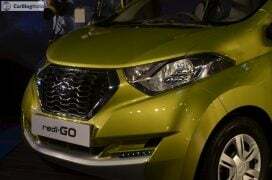 Datsun India launched the highly anticipated Redi Go in India last month. 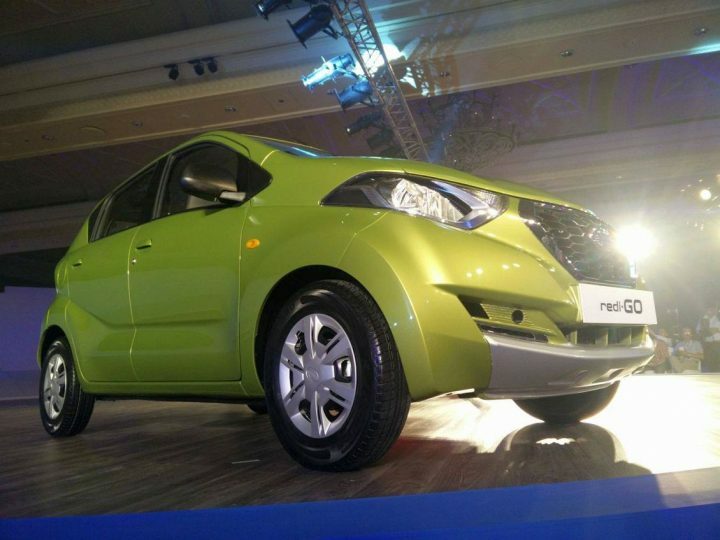 Datsun Redi Go was first showcased in April and now, the Redi Go has officially gone on sale in India! 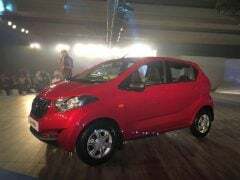 Datsun Redi Go price in India for entry-level model is INR 2.39 Lakhs. The production of the Datsun Redi-Go takes place at Nissan’s manufacturing plant in South India. Datsun‘s third new car could turn out to be its most successful ever. The Redi Go finds itself positioned lower to the Datsun Go. 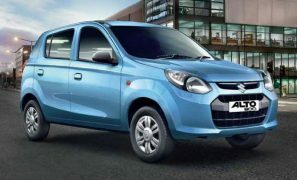 It rivals the likes of Maruti Alto, the Hyundai Eon and the Renault Kwid. We have already driven the Redi Go and you can click HERE for our test drive review. And here are all the news updates on the Datsun Redi Go price in India, specification and mileage. 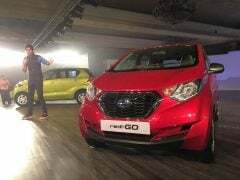 The new Datsun Redi Go becomes the least priced offering from the Indian subsidiary of Nissan’s resurrected Datsun brand. Compared to the Datsun Go, the Redi Go costs considerably lesser and yet, has a more attractive image due to its crossover-like styling. 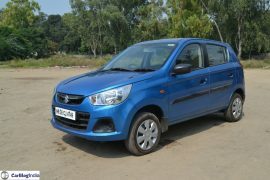 In India, the Redi Go rivals mainly the Maruti Alto 800 and the Renault Kwid, with which it shares its platform and the engine. The Datsun Redi Go price in India is just INR 2.38 Lakhs and with its great styling and the high fuel mileage, the Redi-Go has already grabbed attention of many. Datsun has also launched the ‘Datsun India App’ to enable people book the Redi-Go without going to the dealerships. 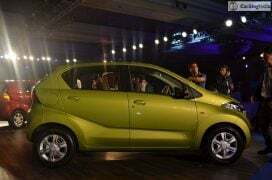 It maybe noted that the entry-level small car segment contributes to the major chunk of annual car sales. 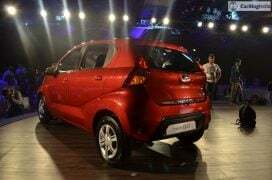 Hence, it becomes really important for emerging manufacturers like Datsun to focus on bringing moderns products, like the Redi Go, to our shores. We have already come up with a detailed Datsun Redi Go test drive review in both video and text formats. 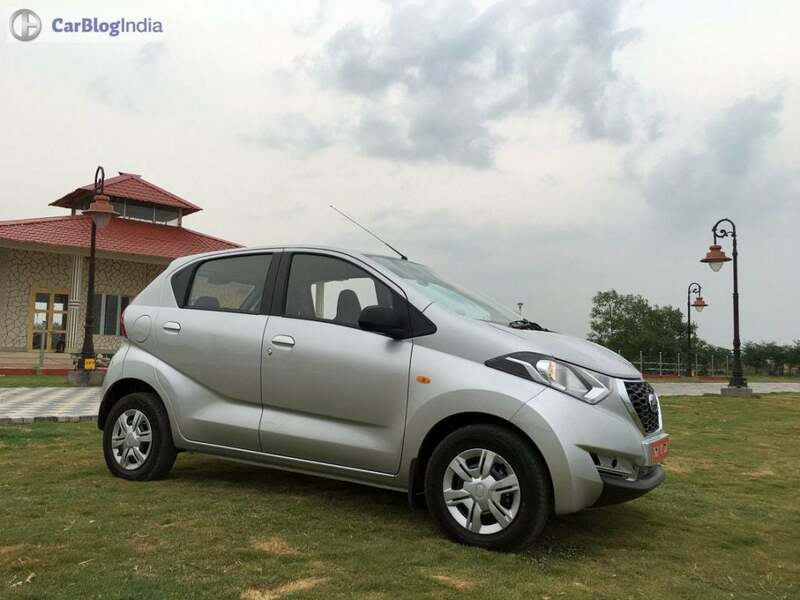 The production-spec Datsun redi-Go costs lesser than the Alto 800! The Redi-GO has gone on sale at an introductory price of INR 2.39 lacs only. This low price tag is courtesy of a localization level of 98 percent. 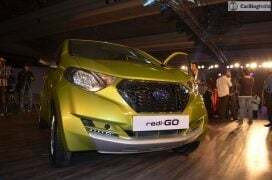 Datsun India has announced that as many as 3,000 units of the redi-GO were sold in just 23 days from the car’s official launch. The Datsun redi-Go shares its platform with the new Renault Kwid, with the latter being the first car from the Renault-Nissan alliance to feature the new CMF-A platform. 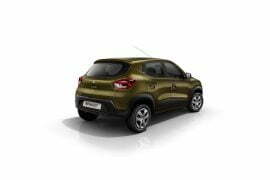 Powering the Kwid is an 800cc petrol engine that is high on fuel efficiency. The Datsun Redi Go India-spec model shares its engine and transmission setup with the Renault Kwid. Which means it is powered by an 800 cc Petrol that puts out around 54 PS, mated to a 5-speed transmission. Currently, there are slim chances of the Redi-Go getting an AMT or ABS. 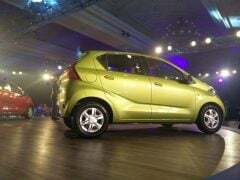 Datsun could plonk the 1.0 L petrol, that is about ti make its debut on the Kwid, under the hood of the Redi Go. Check out our Datsun Redi Go test drive review for full details on how this car is to drive. The Datsun Redi Go India spec model is very high on fuel mileage. 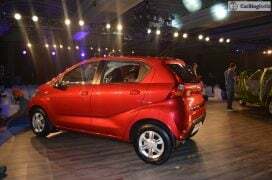 It maybe noted that just like the Kwid, the Redi Go returns an impressive fuel mileage of 25.17 km/l. 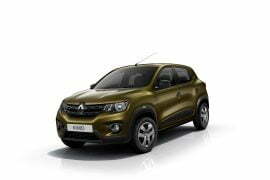 Since it shares its engine and transmission options with the Kwid, it is powered by the 0.8 L petrol engine that churns out 54 PS and 72 Nm. 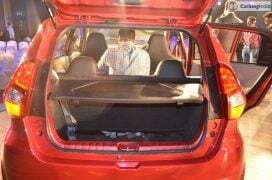 Akin to cars like the Maruti WagonR, the Datsun Redi Go India spec model could also go on sale with LPG and CNG variants in the near future. In terms of dimensions, the Redi-GO is shorter but taller than the Kwid. The wheels are placed at the absolute edge of the bodywork. The tall stance results in an airy cabin that seems spacious enough for 4 passengers. 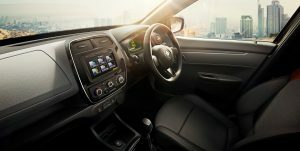 Unlike the very stylish exterior, the interior of the Redi Go is not very distinct and flamboyant. 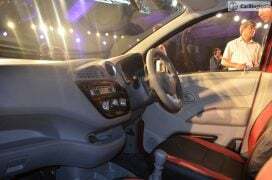 It gets an unconventionally-styled dashboard that surely stands out. However, the Redi Go does get a covered glove compartment and stylish bits like a fancy speedo console. You also get acres of space (remember, this is an entry-level car). 4 full grown adults can sit comfortably in the car and the Redi Go is definitely more spacious than the likes of the Maruti Alto. Even the boot space seems generous and considerably more than the Alto’s pint-sized boot. 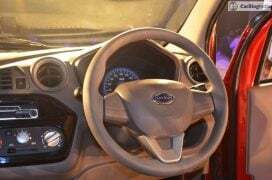 Datsun has used light shades for the interior of the Redi Go. This further makes the cabin feel roomier. Overall, we are really impressed with this car’s interior setup. We do feel that the new Datsun small car can hold a trump card or two due to the stylish exterior and a very spacious interior. The Kwid has finally got a challenger it seems. The Redi Go previews the resurrected Datsun’s future design language. This rather dramatic design study, in the words of the manufacturer, expresses the excitement of “ready to go” before its drivers commence their journey. Talking about the Redi Go Concept, Shiro Nakamura, SVP and Chief Creative Officer, has commented,”Although Datsun redi-GO Concept is just that – a concept – it shows clearly the way we are thinking. It’s an ambitious styling exploration but, being a Datsun, it is a logical design, too.” This radical design study builds up on Datsun’s design language by being modern and distinctive, clear and robust, and vigorous and positive. In essence, the new Redi Go brings together the practicality associated with a five-door hatchback with the stance of a typical rugged SUV. 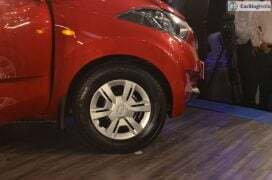 Yes, the Redi Go is a precursor to an all-new small crossover for car markets like that of India. Highlights of this design study are- short overhangs, crossover-like body and twin character lines running along the side profile. There are attractive pair of headlamps and daytime running lights too. 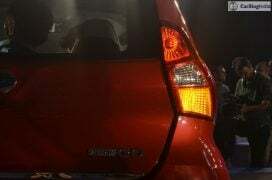 The taillamps incorporate LED fixtures. 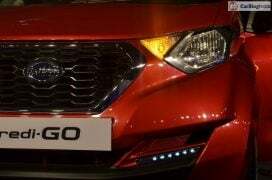 The new “D-cut grille”, a design feature that will be introduced on all future Datsun models, debuts on the Redi Go concept. This model’s robustness is further accentuated by bold wheel arches that flank very attractive dark chrome 15-inch mag wheels. 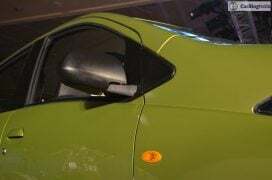 The car comes painted in very flamboyant lime green color, which again reflects the freshness of the design. Meanwhile, the contrasting aluminium-look grey finish on the door sills, wheel arches, and bumper trim highlight the crossover credentials of this model. The black-painted roof, on the other hand, gives an impression that the windscreen extends all the way over the cabin and terminates into an extended spoiler. 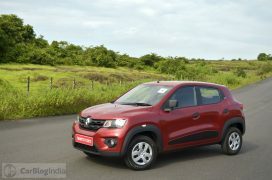 Both the production-spec redi-Go and the Kwid are underpinned by the same platform. However, they look completely different from each other. This is in a rather stark contrast to many platform-sharing cars that we’ve seen from the Nissan-Renault alliance. 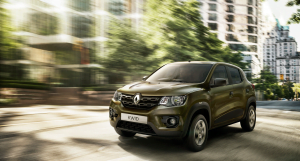 Much like the Kwid, the redi-Go features a slightly SUV-ish exterior design thanks to a class-leading high ground clearance of 185 mm. The production-spec model closely resembles the concept that was showcased a couple of years back. It gets Datsun’s signature hexagonal grille, similar to what we have seen on the Go and Go+ models. 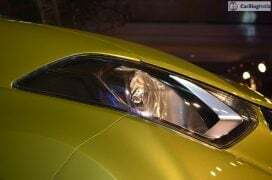 However, some of the design elements seen on the concept have been ditched including the LED tail lamps, body cladding and alloy wheel design. The production-spec version does not feature alloys, gets bulbs for the stop lamps and circular reflector units mounted in the bumper. The rear roof spoiler is more subtle now, but, overall, the majority of the design of the Datsun Redi-GO stays true to the concept, which is something we really appreciate. 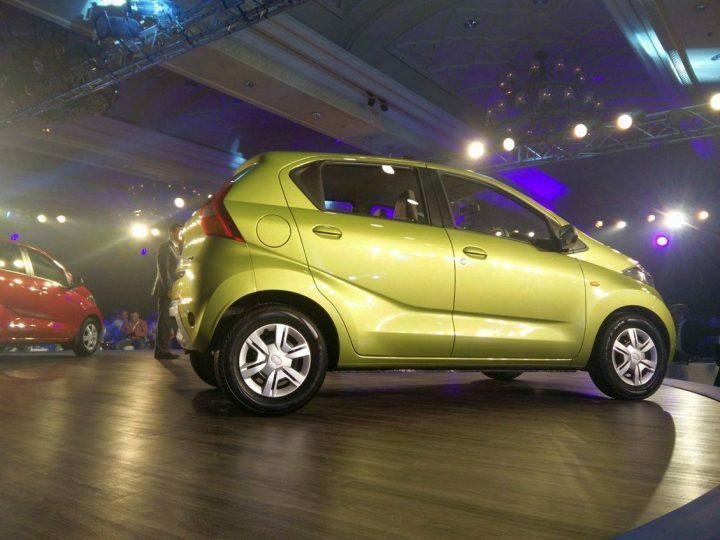 In words of Datsun, the Redi-Go is “Sleek, lean, solid, muscular“. 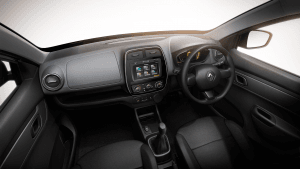 It is worth a mention, however, that the Redi-Go Interior and Exterior design bears hardly any similarity with that of the Renault Kwid. “When we were creating redi-GO Concept we had a few keywords in mind. We wanted a modern and characteristic design that, at the same time, appeared long lasting and substantial. We feel we have managed to combine these apparent contradictions in the concept. If we were to make a car like Datsun redi-GO Concept it would be a segment creator in India, an aspirational car that at the same time is attainable, a car that would be within reach of the first time buyer. This concept shows how serious we are about reinvigorating the market by catering for the needs of a growing class of Indians who have the chance to own a family car that will enable them to enjoy a new sense of independence. Despite its long and glorious history, Datsun is a young brand ready to make a positive impact in the market, offering buyers a refreshing alternative to existing products and brands,” said Vincent Cobee, Global Head of Datsun. 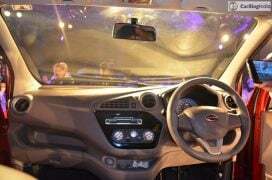 “The Datsun redi-GO Concept represents a statement about our ambitions for the future. We are taking our first steps on a long road that will lead Datsun to a significant presence in this fast-moving market. Datsun will meet the needs of Indian’s rising generation thanks to its modern thinking, dedication to quality and outstanding products. It’s an exciting time for India and also for Datsun. The Datsun redi-GO Concept reflects that excitement.” commented Koji Nagano, Executive Design Director, and leader of Datsun design project. 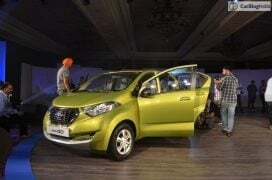 Bookings of the Datsun Redi Go started from May-1. The booking amount required to order a Redi-Go is INR 5,000. Deliveries commence in June right after the official launch, but expect test drives to start before that. Datsun has been busy promoting the new hatchback in India. It has released several images along with the “#ISayYes” hashtag. Test drives of the Redi Go commenced in mid-May. Stay tuned to Car Blog India for more on the Datsun Redi Go prices and other details. I hope you have seen our Datsun Redi Go Test Drive review in both video and text format. 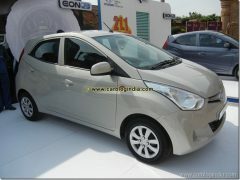 Do you like the Datsun Redi Go price for India? What do you think about Datsun Redi Go price list? Do let us know about your views on the Datsun Redi Go Price in India and Datsun Redi Go price and specifications list by commenting below.